Hello there! 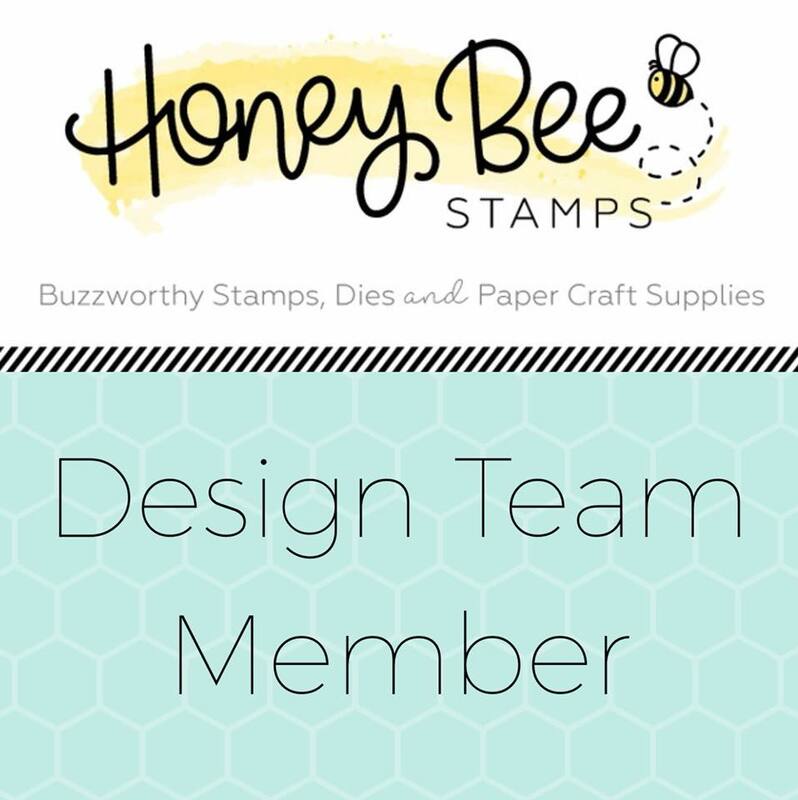 I've got another post over on the Honey Bee Stamps Blog. I'm sharing this thank you card that has a bit of a Fall vibe. Please join me over there for all the details. Hello there friends! The Hello Bluebird October release is now available. You can find the entire release right HERE. I'm sharing four cards I made to kick off this amazing release. I'll be listing all the Hello Bluebird products used along with some highlights about each card. I've colored all the images on my cards with Copic markers. If you any questions about specific colors I've used, please don't hesitate to leave them in the comments. I'll be happy to answer them! Featured on this A7 sized card are the cute images from North Pole Littles. This set is just packed with cute characters for building a fun North Pole scene. I've used the Hill and Dale dies to create four layers of snow banks. I used the Glacier Peaks die to add some mountains. I've lightly inked the snow banks with some Tumbles Glass Distress ink. I used Spun Sugar Distress ink to add a light pink tint to the mountains. The mountain peaks were die cut from white glitter card stock. After ink blending some Blueprint Sketch Distress ink to create the sky, I splattered on white paint for snowfall. I stamped the "bring on the" right onto the sky background. And to finish off the sentiment I die cut the "merry" from red card stock using a die from the Christmas Words die #1. For this card I started with a kraft card stock A2 sized panel. I used the Sprinkles Backgound stamp and some white pigment ink to create snowy background. I lightly inked around the edges with some Tumbled Glass Distress Oxide Ink. All the images are from the Yeti or Not stamp set. I used a Snow Marker to add some dimensional snow detail to the trees. I then adhered some loose glitter on top of the snow for added sparkle. To create the "merry" part of the sentiment, I die cut the letters from some dark gray card stock using the Charlie Alpha dies. This card showcases images from the absolutely adorable Snow Play stamp set. I knew I wanted a snowy woodsy scene so I used the Birch Trees dies to cut out my trees from kraft card stock. I light inked the edges of the trees with white pigment ink. I created a ink smooched background with Blueprint Sketch and Worn Lipstick Distress Oxide Ink. For the dimensional snow fall I used some Nuvo Crystal Drops in Glossy White. This last card features images from a fun fall themed set called Fall Buddies. To ground the scene I used the Grassy Knoll dies to cut out a grass border. I lightly inked the background with Tumbled Glass Distress Ink. I stamped a few hearts directly onto the background and then added some Glossy Accents right on top of the hearts. I sandwiched this scene with two wide strips of gingham patterned card stock which I created with the Country Gingham background stamp and plum colored ink. The "thankful" part of the sentiment is from the new Autumn Script stamp set which also has coordinating dies to cut out the scripty stamped words. 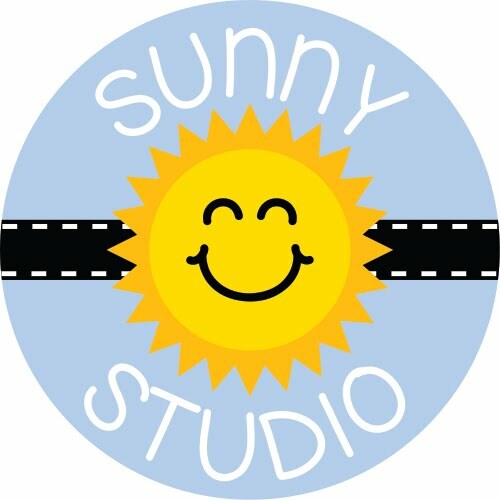 I hope you will check out this absolutely adorable holiday release. If you love scene building on your cards as much as I do, then these stamp sets are for you! Thanks so much for stopping by! Have a wonderful week! Hello there! We've rolled around to Thursday again and that means I've got another card to share over on the Honey Bee Stamps Blog. I tried a little no line coloring using the beautiful Cosmos stamp set. I hope you'll join me over there for all the details!